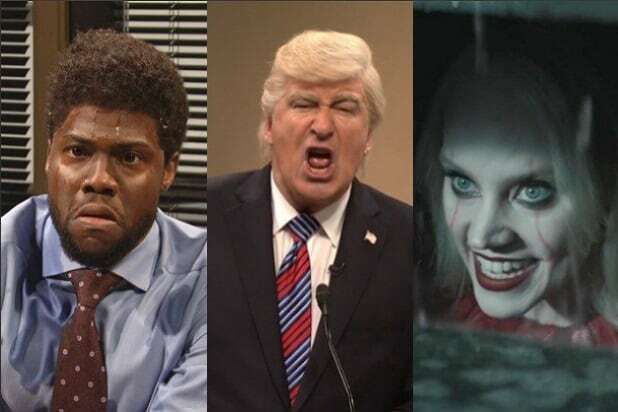 “SNL” kicked off this week’s episode with a cold open sketch about Senate Republicans partying in their locker room after confirming Brett Kavanaugh to the Supreme Court despite sexual assault accusations and concerns about his judicial temperament after his Senate hearing last week. “There are a lot of pacemakers being put to the test tonight,” joked “SNL” cast member Heidi Gardner as CNN correspondent Dana Bash. The old people jokes kept coming when Gardner’s Bash interviewed Mitch McConnell, as played by cast member Beck Bennett, asking him how if he was proud of the victory. “Oh, it’s up there with Vietnam for sure. I mean this could be historic,” Bennett’s McConnell said. The “SNL” cold open delivered some burns for Maine senator Susan Collins, of course. And Kate McKinnon brought back her Lindsey Graham impression. “I’m sorry, you think those were fans?” Bash asked. “Oh, for sure. I know they agree with us because they were out there shouting, ‘Me too! '” Graham said. The sketch also took a brief visit with Minority Leader Chuck Schumer, played as usual by cast member Alex Moffat. The interview with Schumer ended with Mikey Day as Senator Joe Manchin, the only Democrat to vote to confirm Kavanaugh, strolling through the frame and flicking Schumer in the nuts.